The Oakland Ghost Ship fire was a tragic event which should serve to remind all warehouse owners about the duty they have to keep people safe in their buildings. The Oakland Ghost Ship fire was an awful event. 36 people lost their lives in the deadliest fire in the California city’s history. The tragedy underscores the importance of warehouse safety. This doesn’t just mean racking inspections training; it means a holistic approach to warehouse safety and to safety in general. Would A Greater Racking Inspection Frequency Have Prevented the Tragedy? As of February 2017, the investigation is still ongoing, so it is impossible to say what exactly caused the fire and who is ultimately responsible. However, what we do know is that the warehouse had not been inspected in three decades. As a warehouse converted for the purposes of art installation and artistic performances, racking inspections might not have been legally required. This is because, in the US, racking inspection frequency is not laid out by OSHA, and much of it is left to the warehouse owner’s discretion. It’s also unclear whether greater racking inspection frequency would have helped to stop the fire, as there are many other elements of a warehouse which also need to be inspected and maintained. Over the course of the last thirty years, they evidently were not. Why Is Racking Inspection Training So Important? Racking inspection training might not have stopped this tragedy, but there are other tragedies which could have been stopped by racking inspection training and a greater racking inspection frequency. Our racking inspection training course is designed to make sure that racking collapses and other warehouse disasters don’t happen. An expert racking inspection at least once a year is extremely important but, for the day-to-day, warehouse owners need internal staff to inspect the warehouse and storage systems, too. HSE is clear on its recommendations about this, but it doesn’t define how often is enough for these internal, staff-performed racking inspections. The Canadian government is clearer on this front, recommending once a day. 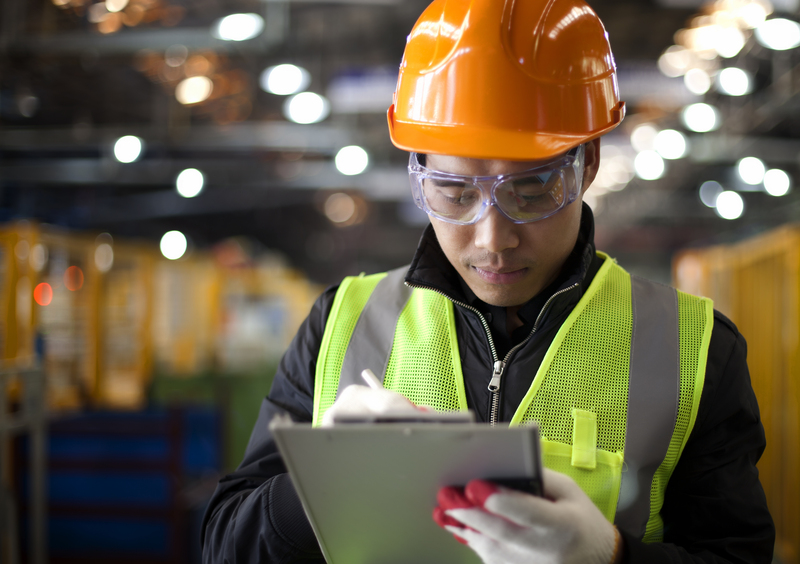 OSHA’s vagueness might be frustrating for American warehouse owners, and HSE’s vagueness might be frustrating for British warehouse owners. However, you can never be too safe when it comes to warehouses. As a result, following Canada’s advice in the absence of advice from HSE or OSHA is a perfectly sensible thing to do. Listening to advice from around the world, while still sticking to the law laid out in your particular country, is the best way to achieve the optimum racking inspection frequency. Would Complete Warehouse Safety Prevent All Accidents? This is a matter of some debate. While SEMA president Matt Grierson believes in the possibility of a zero-accident workplace, the EU’s official health and safety board see the zero-accident workplace as “more a way of thinking rather than a numerical goal”. At Storage Equipment Experts, we do believe in a zero-accident workplace. We do believe that racking inspection training and SEMA approved racking inspections are the best tools we have for making warehouses as safe as they possibly can be right now. However, to achieve a zero-accident future much more needs to be done. It’s impossible to say what would have been enough to prevent the Oakland Ghost Ship tragedy. No country has the technology or the ability to create zero-accident warehouses just yet. Still, we can do our best to reduce warehouse fatalities to their lowest possible number in our lifetime. Make sure that your warehouse is the safest it can be. Contact Storage Equipment Experts today for the best-quality racking inspection services in the UK.